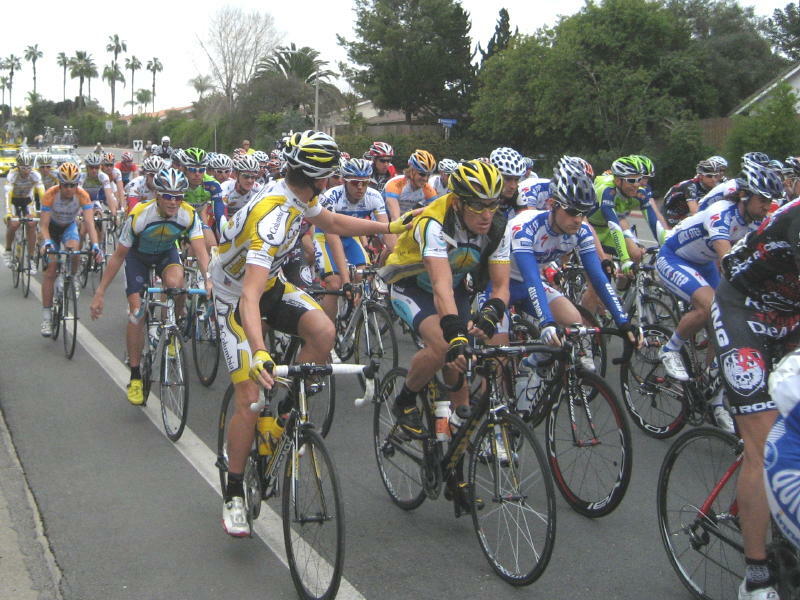 A large crowd was on hand in Rancho Bernardo on February 22, 2009, the site for the beginning of the 8th and final stage of the Amgen Tour of California. At the beginning of the 8th stage, the cyclists head north on Pomerado Road just past Rancho Bernardo Road. From here, the cylclists began a 98 mile grueling stage that climbed above 5000 feet on Palomar Mountain.